In Theaters: "The Rum Diary"
It probably shouldn’t come as a surprise that Bruce Robinson’s The Rum Diary is such an unruly picture—it is based on an early novel by Hunter S. Thompson, after all, and he’s played here by Johnny Depp, who filled the Thompson role in Fear and Loathing in Las Vegas. 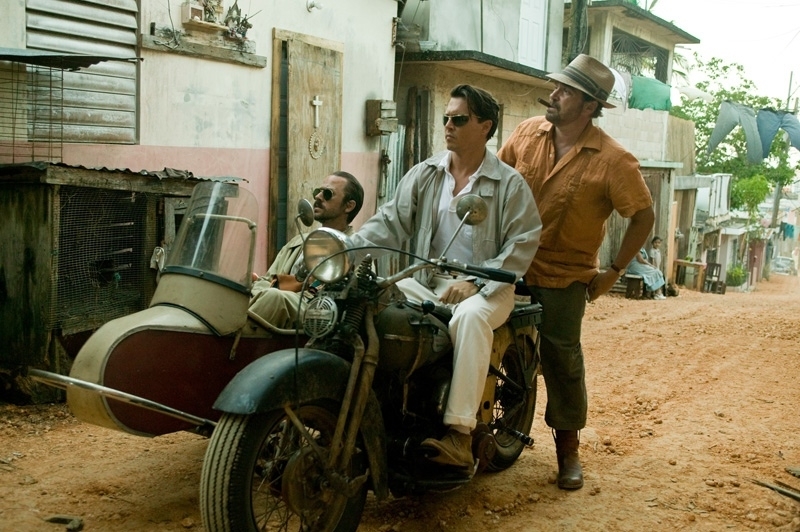 Of course, if you’re going to be literal about it, Depp is playing journalist “Paul Kemp,” just as he was playing journalist “Raoul Duke” (also the name of Thompson’s Doonesbury avatar) in Fear and Loathing. But there’s no doubt, in either role: he’s playing Hunter S. Thompson, from the hard-drinking disposition to the growling, clenched-teeth diction. (It’s already in place here, as if prepped for the cigarette holder that he hasn’t yet acquired.) Fear and Loathing wasn’t exactly a model for discipline, either; it was wild, all over the place. The difference between the two pictures is that in the earlier adaptation, that lack of control appeared to occur by design. This time, not so much. In Theaters: "Puss in Boots"
It’s pretty fair to say that we all knew that the fourth Shrek film, occasional “Final Chapter” subtitle or not, was not going to mark the end of a franchise that gave DreamWorks animation the opportunity to just print money every couple of years; how in blazes were they going to walk away from that? Never mind that the story had long run out of steam—indeed, there wasn’t enough juice for one sequel, let alone three. 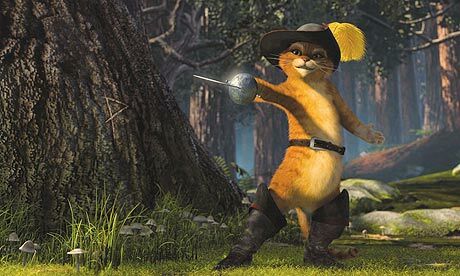 But that first sequel worked for one reason and one reason only: the introduction of Puss in Boots, a sly dandy of a feline, voiced by Antonio Banderas and played as a kind of cross between Zorro and Pepe LePew. Whatever life was to be found in Shrek 2 was because of his introduction into it, so it shouldn’t come as a surprise that this was the character the studio selected for the “spin-off” created to fill the cash hole left by the missing Shrek 5. 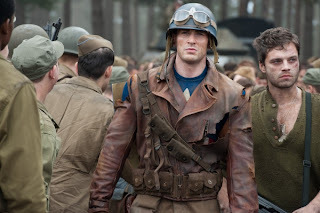 On DVD: "Captain America: The First Avenger"
This, friends, is what I'm talking about. Captain America: The First Avenger is a work of pure pop bubblegum pleasure--a rousing, thrilling, and thoroughly satisfying summer blockbuster that puts most of its multiplex-mates to shame. The filmmakers responsible--director Joe Johnston, screenwriters Christopher Markus and Stephen McFeely, producers Kevin Feige and Amir Madani--understand that "popcorn movie" doesn't have to be a term synonymous with brain damage; they get that they can offer up a good time without openly insulting a moviegoer's intelligence. The result is an absolute treat. On DVD: "Attack the Block"
New on Blu: "The Conversation"
Over the course of three calendar years in the early 1970s, Francis Ford Coppola released three feature films. Two of them were The Godfather and The Godfather Part II, which won multiple Academy Awards, broke box office records, and set a new standard for the comingling of popular entertainment and motion picture artistry. In between them, he made The Conversation, a quiet, personal picture with a distinctively European sensibility. 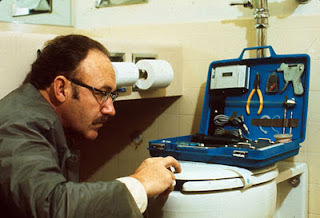 Though it didn't win the Oscars or break the box office as the Godfather pictures bookending it had, The Conversation won the Palme d'Or at the Cannes Film Festival and is held by many critics in the same high regard as its better-known brothers--and for good reason. It is a smaller and more low-key effort, but in its own way is as much a masterpiece as the films that, with it, constitute one of the most extraordinary bursts of creative activity in modern cinema history.